Local and state governments are complicit in the tragedy that is the captive elephant. Officials who are charged with upholding the Animal Welfare Act (AWA) are turning a blind eye, making themselves part of the tragedy by ignoring the abuse and torture that is right before their eyes. 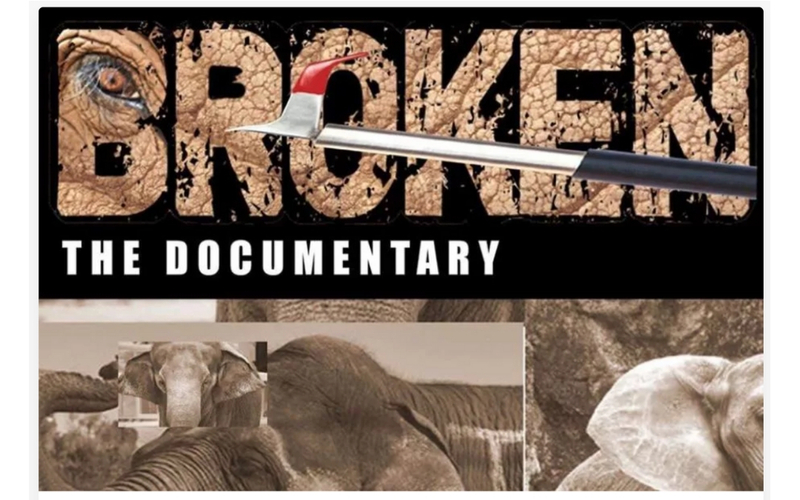 Our new documentary, BROKEN, will throw back the curtain and shine a spotlight on this complicity like never before. Save Nosey.Now, Inc. has teamed up with 12 time Emmy winning Investigative Journalist, Mike Deeson of Deeson Media, to produce this game changing documentary. Digging deep behind the circus tent and the zoo enclosure, we will not only show the cruelty and utter madness perpetrated upon captive elephants, but will also uncover those individuals within local, state and government agencies who are charged with their well being who choose to look the other way and become complicit in their continued abuse. Education and awareness is key to making change. Help us create a film that will open hearts and eyes to the miserable lives of captive elephants. Please note that the Holiday Challenges deadline expired. Please donate now HERE.